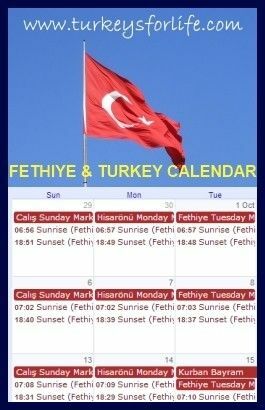 Turkey ▸ Travel Turkey ▸ Places To See ▸ Istanbul ▸ Istanbul Asia ▸ Istanbul Maratonu 2013 – The 10 KM Run In Photos. Can We Tempt You? Istanbul Maratonu 2013 – The 10 KM Run In Photos. Can We Tempt You? Maybe it was the fact the sun was shining, we’re not sure, but both of us said this year’s Istanbul Marathon was the most enjoyable yet. Sunday was the third time we’ve taken part, and there was a completely different atmosphere to usual; a bit of a culture change. More people taking part just for the fun of it. Yes, there were the serious runners – and good luck to them; full admiration from here – but so many people were there on Sunday just to be there and enjoy the day. 7 am: We leave our hotel in Sultanahmet to make our way to the meeting point for the shuttle buses to take us to the start line. Bonus number 1 is the opportunity to take a photograph of Sultanahmet Camii (the Blue Mosque) illuminated in early morning sun without thousands of tourists crammed outside. There’s a bit of a crush for the buses but everyone’s in good spirits so we don’t care. We’re all going to the same place for the same reason. As soon as a bus pulls alongside us, happy days as the doors stop right by us and me and Barry manage to dive on and get a seat. Within seconds, the bus is overfull, the doors are closed and we’re on our way…and I realise I’ve not put the memory card in my camera. Tiny pics from now on! Look upon this post as the recording of a day in motion rather than a decent quality picture show. The start line for the marathon (Barry’s run of choice) is always down just before the entrance to the Bosphorus Bridge, while the shorter run (my run of choice), the 10 km, is further back up the hill. So we split up after we get off the buses and I trudge to my start line. You can see the bridge in the distance and it’s a first good goal to go for…because it’s downhill – and hey, because it’s the Bosphorus Bridge! The marathon and 15 km runners leave first, and, finally, it’s the turn of the 10 km runners. Everyone sets off, waving hands in the air, laughing and whooping. I know many of them have set off too fast but we’ll get to that in moment. For now, the holy grail of this run is to run / walk across the world famous Bosphorus Bridge. This is the only day of the year it’s open to pedestrians…and the views – well, this is Istanbul! And once we’re on the bridge, well there’s not a lot of running going on. People are stopping to take photos of the views, of their fellow runners with views in the background; tea and coffee sellers weave between us all, plying their trade. Simit sellers, too. Yes, the sunshine definitely helped. Everyone’s happy and, rather than ignoring the traders, business is brisk for them. Everyone’s here to enjoy the event. No one looks too concerned about getting a personal best time today. Eventually, you’ve got to reach the top. We’re pretty high up now and the 10km finish is at sea level, on the shores of the Golden Horn. Which means it’s now downhill time. And it’s a steep descent where, once again, everyone finds the energy to put a spurt on. Music blasts from speaker systems, people are cheering everyone on; this is where the security teams are shouting ‘az kaldı’ (nearly there) and the climb is already a distant memory. All of a sudden no one is tired and weary and life’s good again! We take a right onto the flat and grab water at the water station. And then it’s onwards, along the flat, passing the grand, ornate gates of Dolmabahçe Palace. If you know Istanbul, you’ll know it’s overcrowded and the traffic is horrendous. Marathon day is the only day where you get the roads to yourself and all is relatively quiet. Today, this part of the city is yours. It’s a good feeling! Just after Dolmabahçe Palace we pass a flight of Turkey’s now-famous rainbow-coloured steps. Again, 15k and 10k runners stop off to take photos and to have their photo taken on the steps. If today was about running for a time, they’ve forgotten. Drummers encourage everyone along this stretch and, soon after, we reach what was previously Beşiktaş football team’s Inönü Stadium. And the guy in the centre of the photo? He trains along the running track on Fethiye harbour and we see him quite often when we’re attempting to do our training. I spotted the Fethiye Belediyesi symbol on his t-shirt. We’ve done four runs in Turkey now and you see a lot of the same people. This guy’s one of them. Ohhhh, and look at this. We’ve run over the Bosphorus Bridge, had a (seemingly) never-ending climb, enjoyed a trot downhill, run along the flat by Dolmabahçe Palace…and all of sudden…you round the bend…and there’s Galata Bridge. Just to your right is the entrance to Tünel funicular and then just before the the entrance to the bridge is the fish market in Karaköy…and over the other side of the bridge is the finish of the 10 km run. Another burst of energy…You’ve done it! A welcome sight! What follows is mellow pandemonium as we all crowd and crush and squash to pick up certificates and medals. Don’t expect signs guiding you in the right direction. Just follow someone with a number on their chest in the hope they know where they’re going. Better still, if you see someone with a carrier bag (girl in purple shorts in this photo) already with their goodies inside, ask them where they got their bag from. If this description or photos have tempted you to take part, next year’s date has already been announced. Keep your eye on the Istanbul Marathon website for further updates and book a hotel in Istanbul early. Don’t worry if you’re not a runner. As we said above, more people took part for fun this year. It was all good fun. There’s a marathon, 15 km run, 10 km run (that’s the one in these photos and I loved it) and a shorter, people’s fun run. A good excuse to wander on the Bosphorus Bridge. We stay in Sultanahmet for this event because shuttle buses to the start line leave from there and the marathon finishes there, too. Not far to walk back to your hotel. For the first time, we did this year’s run for charity, in aid of Cystic Fibrosis Trust. We’ve just gone over £1,200. All the money donated so far has already gone to the Trust but if you’d like to donate, our Just Giving account stays open until 17th February 2014. If you’re impressed with Barry’s 26 mile efforts, you can donate to Cystic Fibrosis, here. Istanbul Eurasia Marathon 2010 – 15k & 8k Completed! A huge congratulations to you both. I hope you had a jar or three to celebrate afterwards. I am going to have to do one of two things: buy a ticket to Turkey or stop reading all your post. This really made me “homesick”. One of my favorite activities when I lived in Istanbul was walking around Sultan Ahmet Camii! Great pics! Aww, do you think you’ll be able to get back to Istanbul and Turkey soon, April? Well done both of you – a great cause. I love the idea of contestants stopping to take photos – does this happen in any other marathons? Did you meet any people running the FunRun in opposite direction, from Europe to Asian shore? Is it allowed? I am going set for an adventure walking from central Europe to India – across Istanbul. And this could be the only possibility to walk between the strait. Good luck with what you are doing – what an adventure! If you miss that day, then your only option would be ferry, metro or taxi.